The Riding School is for young or old, experienced riders or beginners. Group and private riding lessons at all levels from age 5 and over are available from Ann Mitchell and her staff. 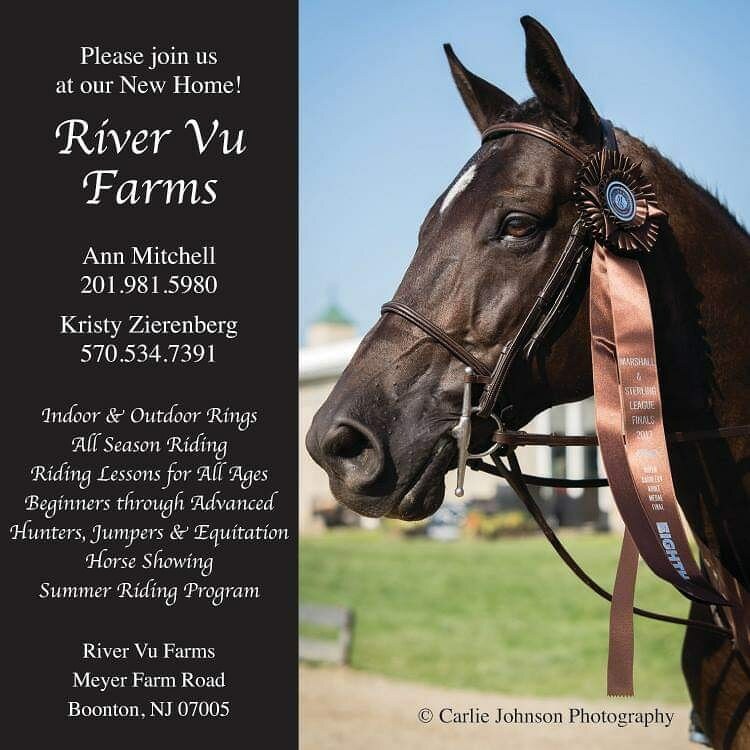 You can take lessons at River Vu Farms on your own horse or pony or on one of the Farm’s school horses. You can learn about horse care if you are a novice or you can arrange to stable your horse at River Vu Farms. Ann Mitchell also offers a summer riding program for children ages 7 and up and teens. The program runs all day weekdays, rain or shine, and lasts for about five weeks. Children can take as many weeks as they wish, but the classes become more advanced during the later weeks.